RESERVED for Barb. 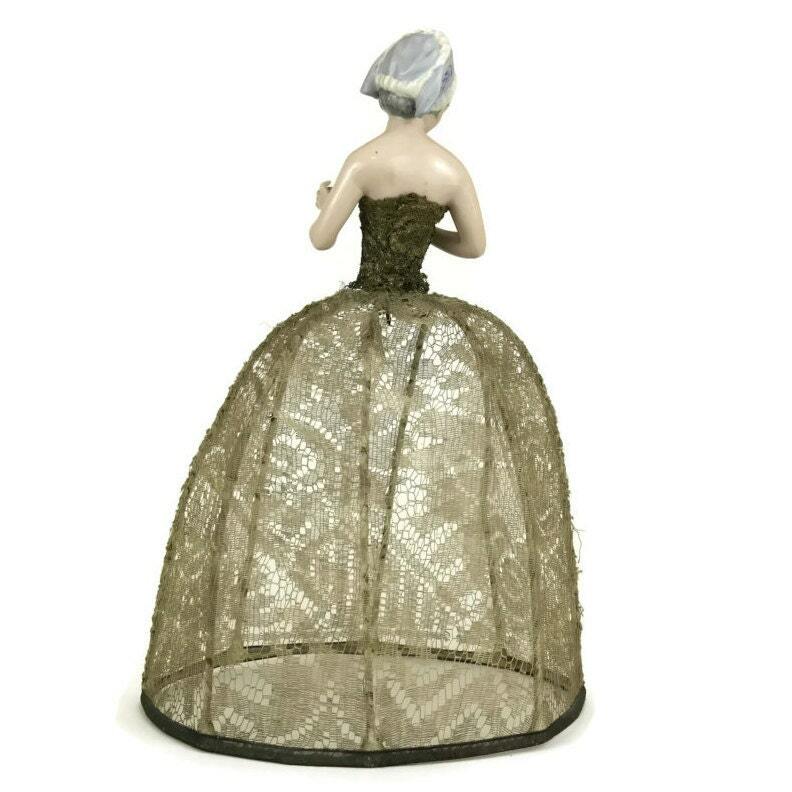 Antique French Porcelain Half Doll Boudoir Lamp Shade by Henri Delcourt. 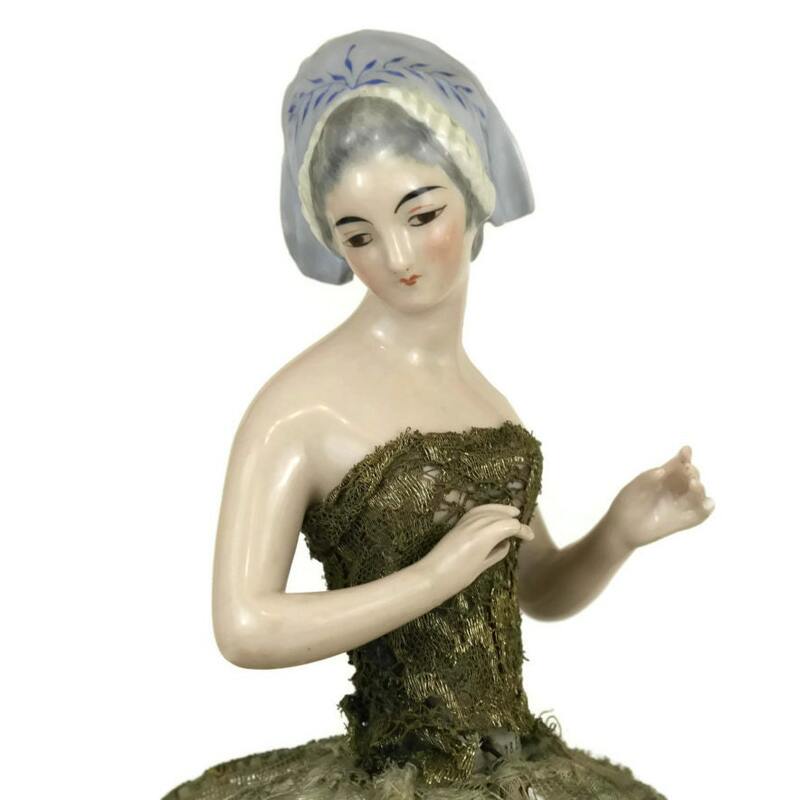 An exquisite antique French porcelain half doll boudoir lamp by Henri Delcourt. 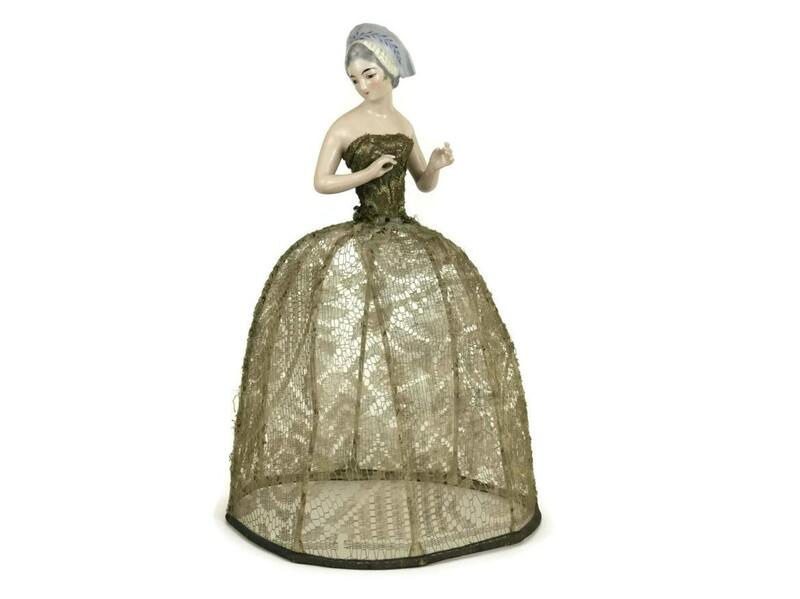 The figurine has been delicately hand-painted in a palette of soft pastel shades with very fine details and she wears a corset of gold metallic lace. The base of the half-doll has hand lettering with the manufacturer's mark " 08 BIS". 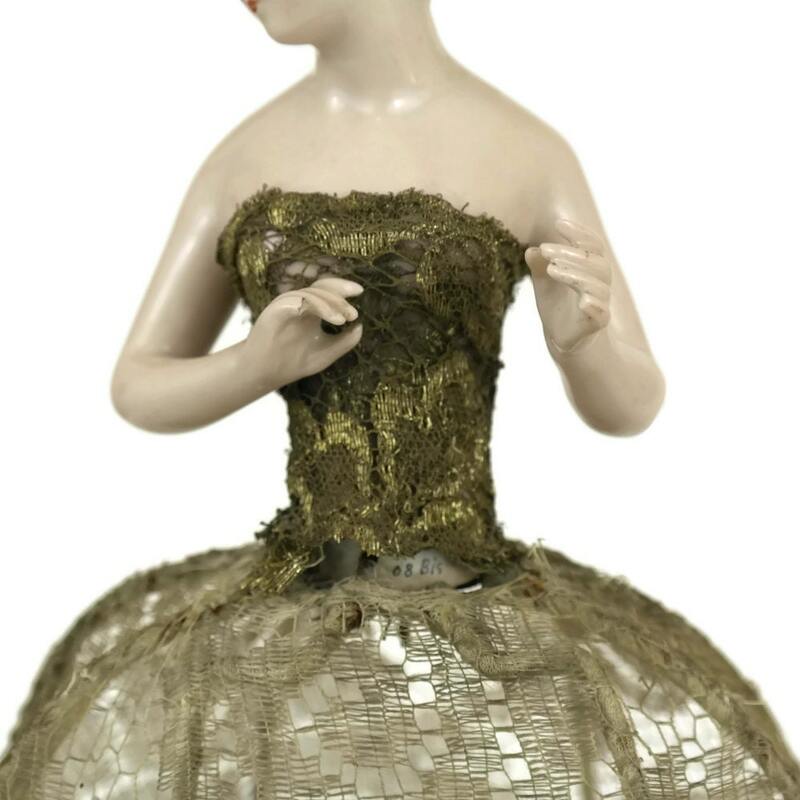 The piece has no visible signature but it is undoubtedly a Delcourt creation (the piece has been cataloged in Marie Petitfrère's book, Les Demi-figurines). She has been attached by wire to the metal lampshade which has been covered in lace. The porcelain half doll measures: 5" High x 3" Wide (13 cm x 8 cm). The lampshade is 9" High x 8" Wide (22 cm x 20 cm). The porcelain doll is in very good condition. The tips of each of her smallest fingers have broken off. There are no chips, cracks, crazing or restoration. The lampshade is in fair condition with overall wear and some holes. 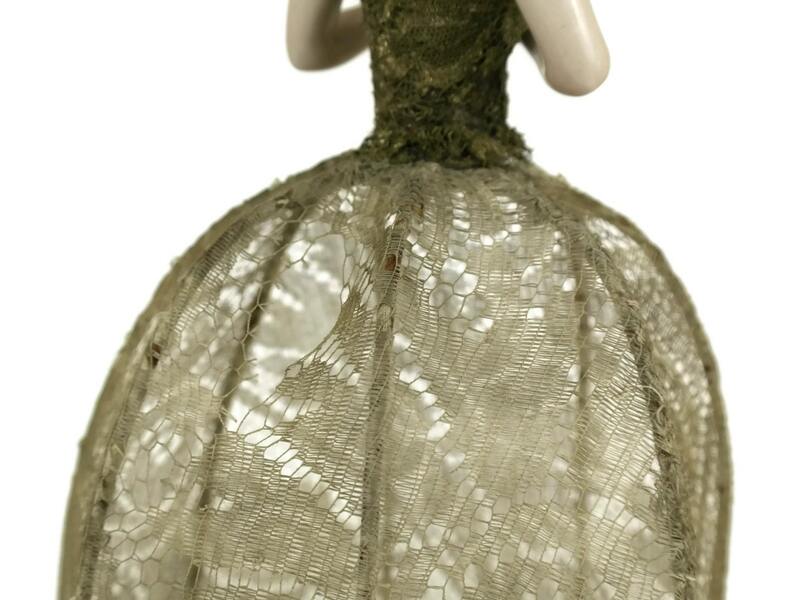 Item ref: Antique French Porcelain Half Doll Boudoir Lamp Shade by Henri Delcourt.